Direct lakefront with spectacular views. This small cottage is perfect for 2! 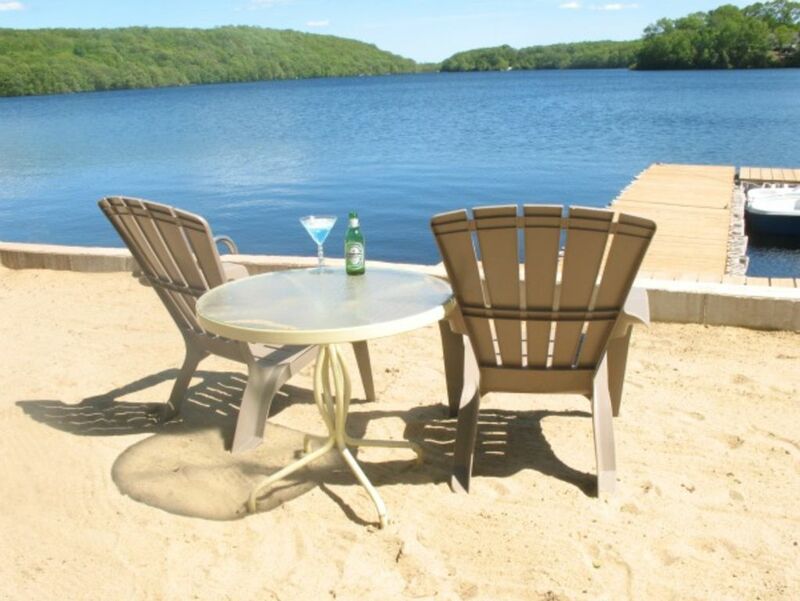 Enjoy your very own private sandy beach, dock, fire pit and large deck. Fully furnished inside and out, including use of kayaks. Our location is only a few miles from Mohegan Sun Casino (Uncasville, CT) the new Naskart indoor kart racing and Trampoline Park,as well as the Dinosaur Place and Natures Art(Montville, CT). For adults the These Guys Brewing (Norwich, CT) and Fox Farm Brewery (Salem, CT). The only thing missing is YOU! Wife, Mother, who works and manages our cottage. Fell in love with this property the moment we seen it. Now we want to share it with others. The lake is private to owners and guests. No public access. This is great for water sports. Awesome View, Private lake, Great Location. Bring your boat for added fun. Lake is great for tubing, water skiing, and fishing. Linens included. 4 Towel sets. 2 Beach Towels. yes up to 4 towel sets. Seating for only up to 4 persons. No pets allowed. Pets are not allowed inside or outside on the property. No Smoking No parties, gathering, family reunions (family BBQ), etc.